Styles: all styles, but specialising in modern pop and easy listening. Did you know? Craig has recorded on Bryan Adams' material! 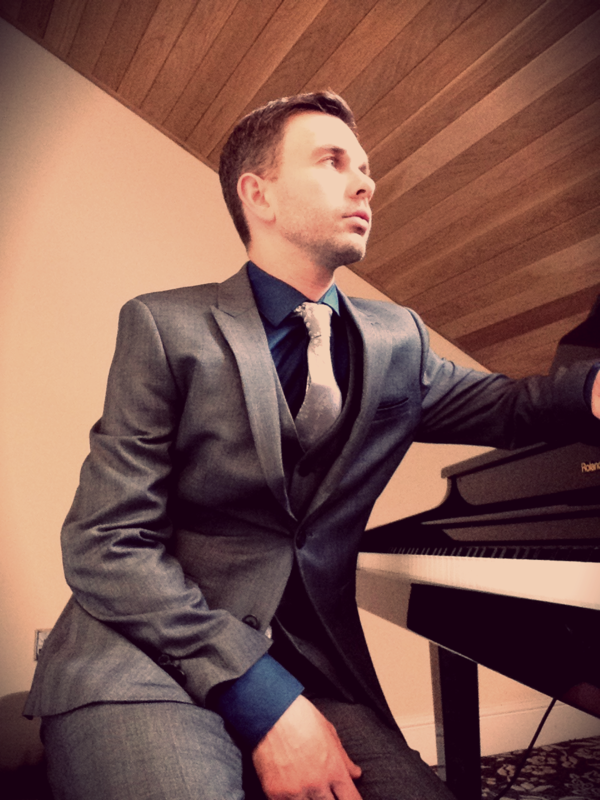 Craig Smith is a professional wedding pianist in Preston, providing wedding entertainment playing piano for Lancashire civil wedding ceremonies, cocktail receptions and wedding receptions. A UK pianist available nationwide but mainly playing Lancashire wedding piano North West. Lancashire wedding hotels and halls for weddings are the most common wedding venues with piano music that Craig performs, and bookings have recently included Leyland Hotel, Eaves Hall, Samlesbury Hall, Mitton Hall, Mytton Fold, Farington Lodge, Ribby Hall, Ashton Memorial and Singleton Lodge. Book a pianist for your wedding ceremony in Lancashire! For more information, please visit Craig's wedding piano website. A graduate of the acclaimed Liverpool Institute for Performing Arts with a First Class BA (Hons) degree in music and an associate of the Victoria College of Music, Craig Smith is an experienced and multi-skilled professional session musician based in Preston. He performs regularly at civil wedding ceremonies, cocktail receptions and similar functions as a solo wedding pianist, and also with wedding duos and wedding bands. He has shared stages with the likes of Paloma Faith, Pixie Lott, The Noisettes, Tinchy Stryder and Spin Doctors, has recorded on a Bryan Adams track, and worked as the musical director for touring shows including The Opera Boys UK Tour, Simply70s: Ultimate Classic Rock and The Gary Barlow Live Tribute Show, playing at theatres and stadia nationwide. For more detailed information regarding Craig's work, including solo event and wedding piano entertainment, plus testimonials, full package lists etc, please pay a visit to www.craigsmithmusic.co.uk. Here at Dream Day Music, we have four main pianists (Craig, Conal, Izzy and Nick) with others in the wings if they are already booked. All are North West based and highly regarded session musicians, recording for or touring and sharing stages with artists including household names such as Paloma Faith, Van Morrison and Jools Holland, and playing in renowned hotels such as Savoy, London. Alongside this work, all our pianists are time-served wedding entertainers, most with at least ten years of wedding piano under their belts. Our pianists are available to provide music for any part of your big day or event from just £180, be it a wedding ceremony, cocktail reception, wedding breakfast or 'landmark' birthday party. A professional pianist with hundreds of gigs under his belt, any of our pianists will play styles to suit any occasion: classical, swing/jazz, easy listening, pop, soul, theatre/showtunes and others. Our pianists are also available in various duets with our other musicians: sax and piano; piano-vocal; violin and piano etc. Where there is a piano on site and no additional piano would need to be set up, we are able to offer a discount of £60 on the above prices. Pianists are a particularly popular choice for wedding ceremony and drinks reception music, and wedding bookings are typically made between 6 and 18 months in advance of the wedding. That said, it is not uncommon for people to book with as much as two and a half years still to go until their Dream Day. Other venues for which our pianists have recently been booked include Peckforton Castle, Carden Park, Leasowe Castle, A Hard Days Night Hotel, Belsfield Hotel and The Coniston Hotel and Wortley Hall. For more information, please don't hesitate to contact us. Please click here for sample Piano repertoire. Craig is a member of Jessicas Ghost, who have been popular both on the festivals scene and at private parties since 2005. He has also worked as the music director several function and party bands; all the band members used are session musicians of the highest standard. Craig plays as a session musician, as a non-regular member of other bands and with singer songwriters. You can read Craig's biography at www.craigsmithmusic.co.uk.